SPI Lasers have created this website in an attempt to provide valuable and enriching content about SPI, our products and services and the laser industry in general. Content production takes a considerable amount of time and effort, it’s therefore important for us to protect our copyright and ensure that our content is only published on https://www.spilasers.com. So our copyright needs are unambiguous and our approach to copyright is understood we have documented everything in this Copyright Statement. Please read through this statement and understand the principles, objectives and policies SPI Lasers have before re-using any content found on the website. SPI Lasers wishes to state that we are the exclusive owner and copyright holder of content on https://www.spilasers.com (unless a specific accreditation is given on a page to another party). 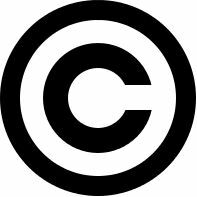 Copyright ownership extends to all aspects of the website including text, use of website source code, images and photography, video and audio clips. SPI Lasers expressly states that our content must not be reused in any way for commercial purposes. Such re-use is intended to include full pages, parts of pages, adaptations and modifications as well as large scale use of content across any number of third party websites. SPI Lasers realises that our content may be beneficial especially for students and research purposes and encourages everybody to read through as much content on our website as they can. SPI Lasers are happy for any content on our website to be used for personal consumption; this includes the downloading of content and later retrieval by various devices (e.g. laptop, desktop or mobile phone). Do also print off content from our website for personal usage. Naturally SPI Lasers would be delighted if our content is shared via social media and/or our content is linked to on other websites. Backlinks are especially appreciated as they will help our sites SEO and encourage people to visit our website. Alternatively email us at marketing@spilasers.com with an explanation of what you intend to use the content for. We always endeavour to answer requests for content uses quickly (we will am for 72 hours) and will let you know our decision about content re-use. We reserve the right to decline the use of our copyrighted content whatever the reason. This will usually be because content re-use would not be in the interest of SPI Lasers. As we’ve said, considerable effort has been employed in the creation of content for this website. In cases where copyright has been clearly infringed SPI lasers reserves our right to take legal action for copyright infringement. In all cases, SPI Lasers will work to find a non-legal remedy first. We will always make contact (wherever possible) with third parties to discuss copyright infringement. Our usual approach would be to send an email requesting that the content in question is modified to become unique and/or removed from the website or other type of publication. If the copyright is removed in a reasonable time period then all action by SPI Lasers would be ceased. In cases where all efforts by SPI Lasers have been ignored or possibly even refused then SPI Lasers may take legal action without any further notice. If you notice SPI Lasers content from our website that has obviously been copied to another website please contact us. Whether the content has a backlink to SPI Lasers or not please let us know. SPI Lasers will then review the potential plagiarism and where required make contact with the other party and take appropriate action. Here at SPI Lasers we always endeavour to provide 100% unique and interesting content that our readers find valuable. In rare cases and the unlikely event that it appears SPI Lasers is in breach of your copyright we request that you contact us urgently. SPI Lasers will treat your request as a matter of significance and seek to resolve the issue quickly. Many thanks for your time in reading through this copyright statement; SPI Lasers appreciates your effort. This Copyright Statement was last updated on 13th April, 2016.